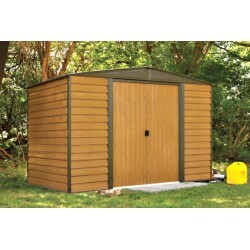 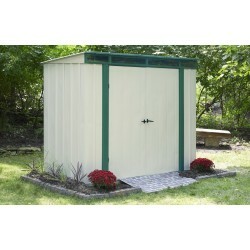 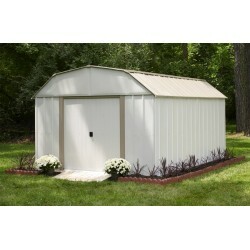 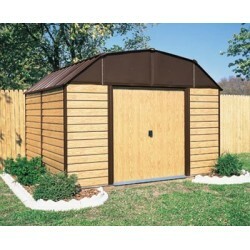 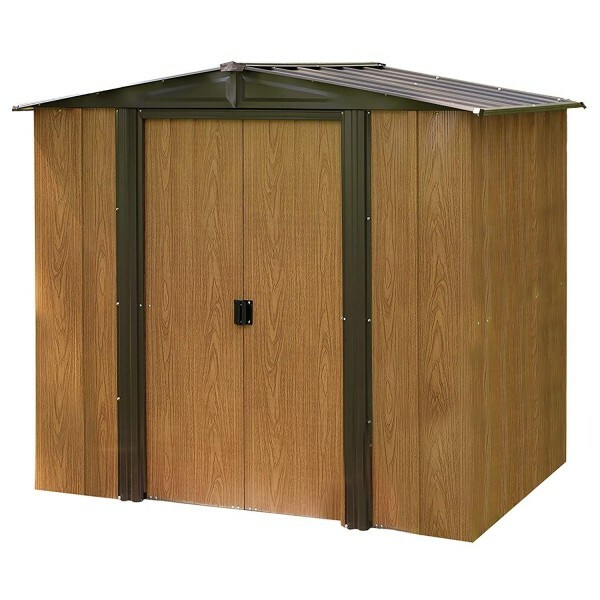 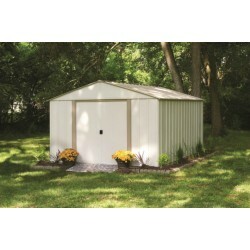 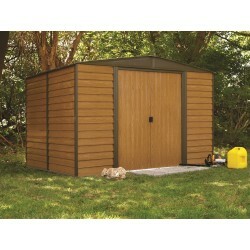 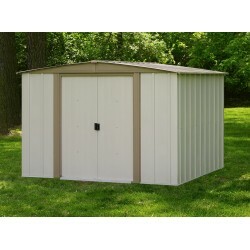 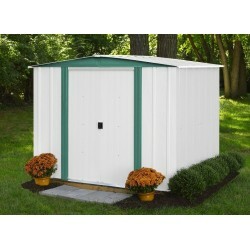 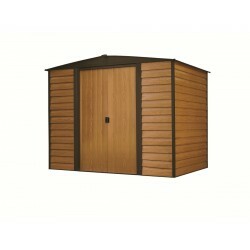 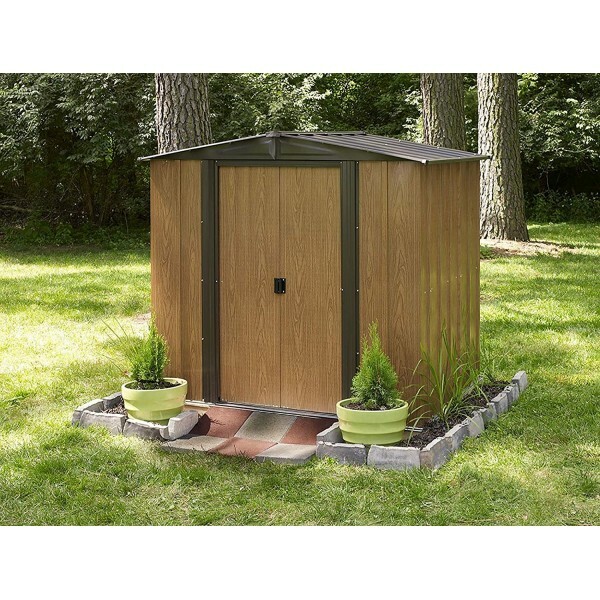 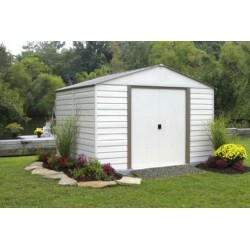 Attractive wood grain steel panels and a big 237 cubic ft. of space make the Woodlake 8'x6' steel storage building an excellent storage solution. 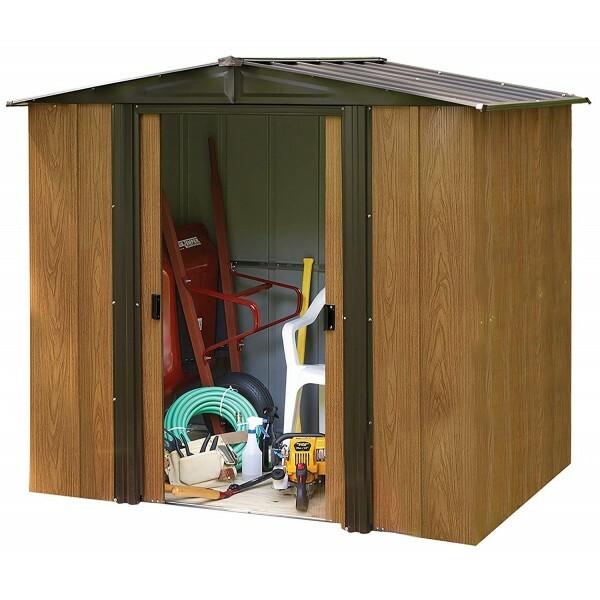 Attractive wood grain steel panels and a big 237 cubic ft. of space make the Woodlake 8'x6' steel storage building an excellent storage solution. 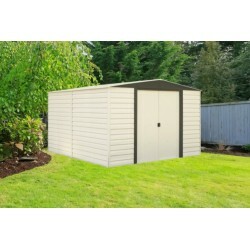 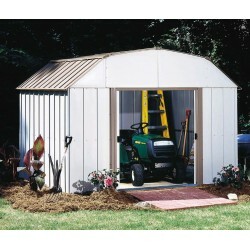 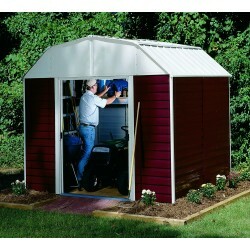 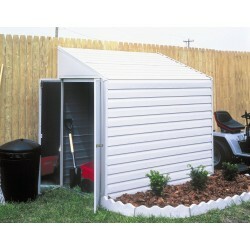 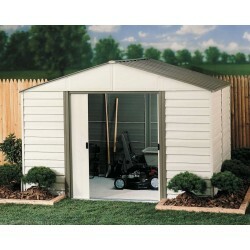 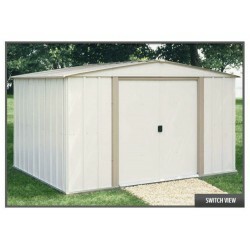 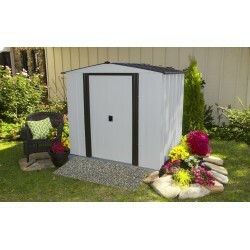 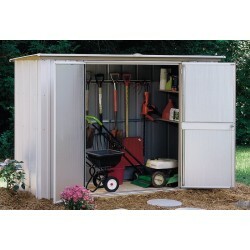 This building is the perfect place for organizing and keeping common lawn and garden tools, patio and backyard furniture, and power equipment such as a push mower. 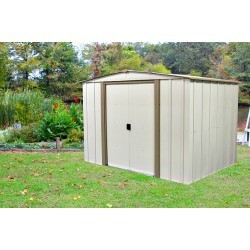 Parts are pre cut and pre drilled for a faster assembly. 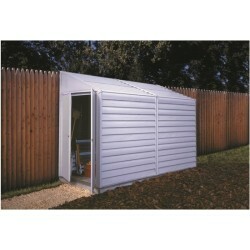 Pad-lockable sliding doors mean more space inside. 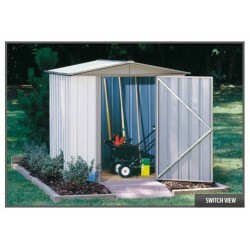 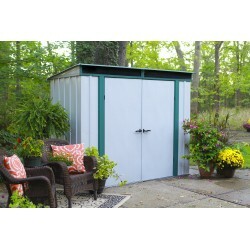 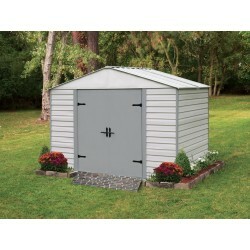 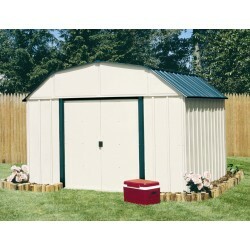 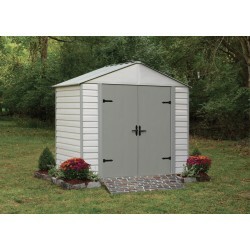 Durable galvanized steel parts will provide a home for your tools for many years to come! 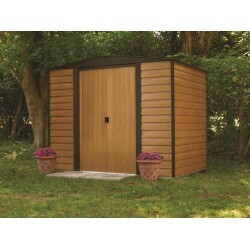 The Woodlake is backed by a 12 year limited warranty.